As a busy mother of two little ones, I love a product that saves me time, stress and my sanity. Shower time is one of the busiest times of the day and chasing my two-year-old around attempting to dry his hair only adds to the already stressful task. You can now look forward to no more drips or fuss at shower time with this ingenious hair drying towel that your kids will love. The award winning product from Cuddledry makes drying your kids’ hair quick, easy and, most importantly, fun for your little one. 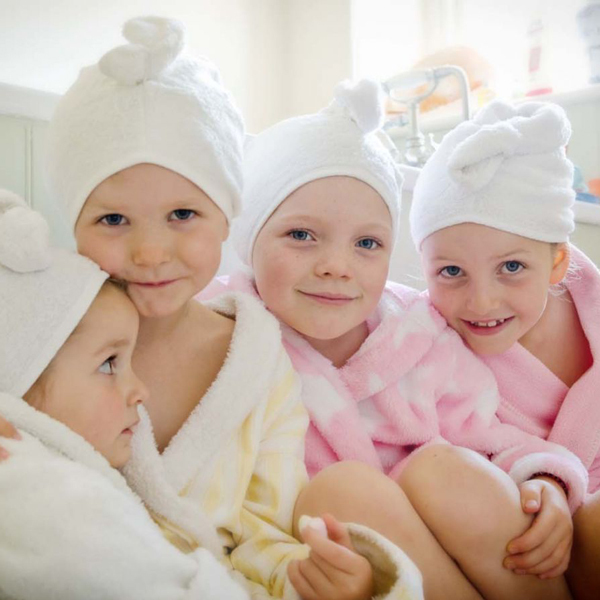 The Cuddletwist towel is brilliant for after baths, showers or a trip to the swimming pool. Made with a silky soft natural bamboo fibre, they are much more absorbent then cotton towels, meaning they will dry your child’s hair quickly and effectively. The Cuddletwist is simple to put on and stays in place perfectly. 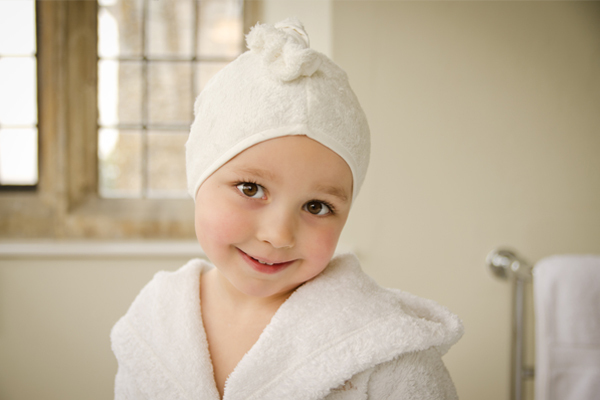 Just put the towel on your child’s head, twist at the back and secure into the stretchy loop on top. Read a bedtime story while their hair dries and make a once timely task simple and fun. Suitable for children 18 months and up, you can find the Cuddletwist towel online from local stockist The Stork Nest for $25.